1) Google Analytics – sign up to receive reports on your business mentions. Its best feature is conversion tracking that lets you track blog visitors, shows what they are looking at and how they got to your site. 3) Twitrratr – this tool allows you to measure what people are saying about a specific keyword ~ the good, neutral and bad. You can put in a keyword that relates to your product or service to see what Twitter users think about it. It’s not 100% accurate but can give you a good sense of what the general public is thinking. 4) Twitter Grader – track and measure your influence in Twitter World. Enter your Twitter handle and you will be given a ranking between 1 and 100. You can also track the history of your follower growth and your influence among your specific location. 5) Website Grader – Similar to above, this site allows you to compare your website or blog to your competitors. You will receive a report that shows readership of recent blog articles, Google index pages and readability level. It can also help you optimize your web content from headings to images. Sublimimal Messaging or Smart Design? We see hundreds of logos every single day, but many times we just see them and don’t really look at them. When people breeze past logos, they often miss the beauty of the design and can even miss a hidden message that the designer worked so hard to encorporate. Hershey’s Kiss: Just type? Look again… can you find the hidden kiss? Baskin Robbins: You’ve probably seen this one before, but can you find their 31 flavors? Fed Ex: Again, another popular one. The arrow is the hidden object in this logo. Bronx Zoo: Giraffes and birds… cute logo. Wait, is that a city skyline? Vaio: You may have to be a technology guru for this one. The “VA” represents an analog waveform and the “IO” is a nod to binary code. Washington State University: Go Cougars! On second thought… those are the initials WSU. Wendy’s: A hot topic of conversation after the recent redesign. Do you believe her collar really says, “MOM”? Eighty 20: Another techie logo. The company name is spelle out in binary code: 1010000 (80) is the top line and 0010100 (20) is the bottom. Spartan Golf Club: It took me a second, but I finally found the double image. Do you see the golfer? How about the spartan? El Tour de France: Perhaps my favorite hidden message because it was the hardest to find… you’ll love it too once you find the cyclist! We’ve all heard that word of mouth is the best form of advertising and way to gain new customers, but what can you do to increase that buzz? Here are 4 ways I’ve seen that have worked for my clients and can work for you! 2) Add ratings and reviews to your website – research shows consumers are willing to pay up to 90% more for a 5-star rating than a 3 star rating. Positive feedback can deliver a significant increase in sales so go ahead and flaunt it! 3) Track your reviews – Be sure to track what is being said about your company on review and social media sites on a regular basis. Quickly follow up with any comments both the good and bad. Remember, you can’t change a bad comment but your response shows you at least addressed it. 4) Share – Make sure that your website articles, blog, and company newsletters can be easily shared across the social media networks. Many people try to argue that print is a thing of the past, but every once in a while I come across something so amazing it reaffirms my belief in the power of print. This ad for the Fiat 500 Abarth Cabrio did just that! When I first saw this ad, I had to do a double-take… trying to figure out what exactly I was seeing. 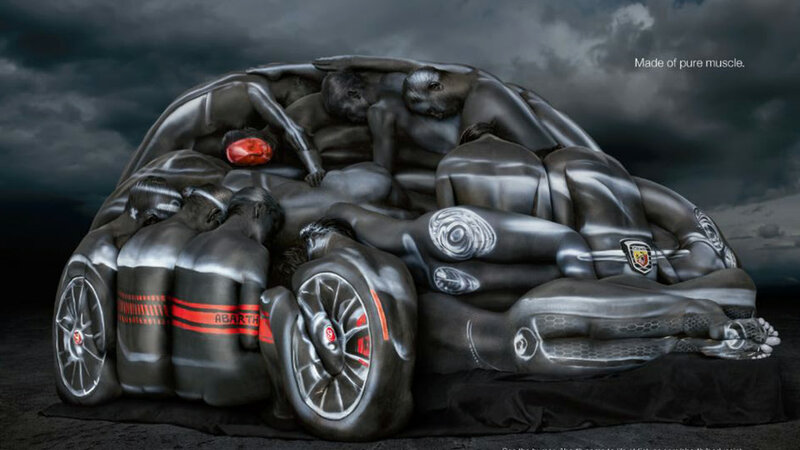 When I realized the car was made of people, I was amazed. When I read the only line of type in the ad, I fell in love. What a great way to reach beyond the limits of creativity and create an ad that is not only strong but gets people talking. Are you scratching your head and wondering why your company’s online efforts aren’t producing the stellar results you were expecting? Start by determining if you are making these 4 mistakes and how to fix them. 1) You are trying to be everywhere – Just because there are hundreds of social media sites, it doesn’t mean you have to be on all of them. Think about your target audience and what you are selling to try to match the best social media platform for your business. If you have a product that is more visual such as a gift shop or furniture store Facebook and Pinterest would be better choices for you. If you need to reach other businesses then Linkedin or Google+ make more sense. 2) Too many promotions – don’t constantly sell. Review your content and make sure it is applicable to the interest of your customers. Offer tips related to your products or services. Talk about non-profits or local events that your business supports. Consider posting open-ended questions and asking your audience to share their opinions. 3) Too few postings – have a plan to post on a regular basis to keep your content fresh and if you don’t have the time consider having an employee take over these duties or outsource them. Facebook lets you set upcoming posts or you can use programs such as Hootsuite that allows you to program future posts. 2. Smush.it – Tool for optimizing images. Upload your photo or provide a link and it does the work for you! 3. GuideGuide – Downloadable Photoshop tool. I hate the fact that Photoshop seems to be lacking the precision of InDesign when it comes to guides… this tool fixes all of that! 4. WeTransfer – Online file tranfer service. I used to use YouSendIt, but the free version only allowed me to send files up to 50MB. WeTransfer allows you to send files up to 2GB… the cherry on top: you don’t even have to create an account! 6. TypeTester – Online typography tool. Easy tool to compare multiple fonts side-by-side. 8. Designers Toolbox – Exactly how it sounds, this is a website full of tools for designers… everything from document templates to an html cheat sheet! 9. Harvest – Online time-tracking and invoicing tool. 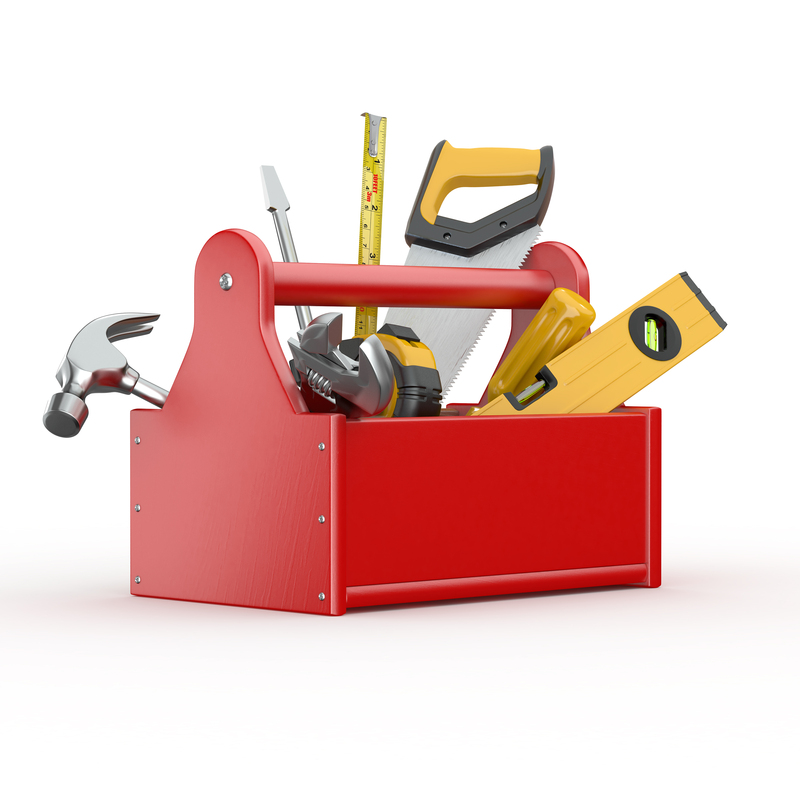 This is the one tool I haven’t tried myself, but after viewing the website and video it seems like a handy tool for those of you who are freelancing or running your own business! 10. Paper & Pencil – I know that as designers in the 21st century, we can get wrapped up in the computer and all of its glory, but never forget the fundamentals! Always keep a pencil and paper handy for quick sketches and thumbnails or a hand-drawn approach… this is where your creativity starts! With the 4th of July right around the corner, I figured what better topic to blog about this week than our country’s Independence Day! No, I’m not going to give you a history lesson on how our country came about… instead, I found something much more exciting! This year (more specifically in the last 2 weeks), Clear Channel Outdoor has put together the first ever cross-country digital billboard display. The cross-country campaign will run from July 4th to July 7th displaying the lyrics of “The Star Spangled Banner” on more than 1,000 digital billboards in different cities across the United States. The goal of Clear Channel Outdoor’s cross-country patriotic campaign is to harness “the immediacy and flexibility of its digital out-of-home media to unite the nation in celebration of Independence Day.” (clearchannel.com) Clear Channel Outdoor is also enouraging Americans to show their patriotic spirit by posting photos or videos of how they celebrate the 4th of July on various social media sites using #united4th. Pay Per Click advertising in Google is one of the most successful platforms available for marketing to your customers online. With that being said, many of business owners and marketing executives don’t understand the important metrics of a PPC campaign. If you are utilizing Adwords in house then you may already be familiar with some of these metrics. However if you are being handed reports with key statistics on them from your search marketing provider it is important to know which metrics are important to look at. In this post we will talk about the three biggest metrics a business owner or marketing executive can look at in PPC to determine if they are having success in the campaign. 1) CPA- This is the cost per action. This metric helps tell you the profitability of your campaigns. Actions can be defined in analytics and can range from something as simple as signing up for a newsletter or actually making a purchase on your website. Generally, the lower CPA your campaigns have the more ROI your campaigns will see. 2) CTR- This is the click through rate. While CPA can tell you how profitable a campaign can be this metric actually helps you identify the quality of traffic, and quality of advertisements you are delivering to prospective clients. If you are seeing low CTR’s consider creating a more interesting or relevant ad. If you are seeing high click through rate, identify why you are having success and emulate that strategy to create high CTR’s in your other PPC ads. 3) Conversion Rate- This is the rate in which your PPC clicks are actually turning into customers. By utilizing the call extensions and action reports in Google analytics you can better identify which ads are actually converting clicks into real customers. This metric helps answer the question how many of my clicks are turning into real customers for my company? By better understanding these 3 metrics in Adwords you will be able to better understand the level of success you may or may not be seeing from your PPC strategy. These metrics will help you isolate the reasons for your PPC success or failures and make it easier for you to correct them. Do you find that a specific PPC metric helps you make campaign decisions other than the three mentioned above? Let us know about those metrics in the comments section! 2) Give social media equal billing to your other marketing efforts. Make sure you include the Facebook and Twitter icon on your marketing materials and even on your email signature page so customers can follow and become fans. 5) Develop your social voice – don’t use social media for just promoting your business or service. Instead, use it to share useful information about your industry or your community as well as your services and products. Think of your use of social media as a work in progress ~ you’ll get better with time and consistency, I promise. As you develop your social media presence with relevant and topical information, you’ll grow more competent. Now start posting!